Situated in Tarraleah, this golf hotel is 1 mi (1.6 km) from Tarraleah Golf Club and within 16 mi (25 km) of Clark Dam and Bronte Lagoon. 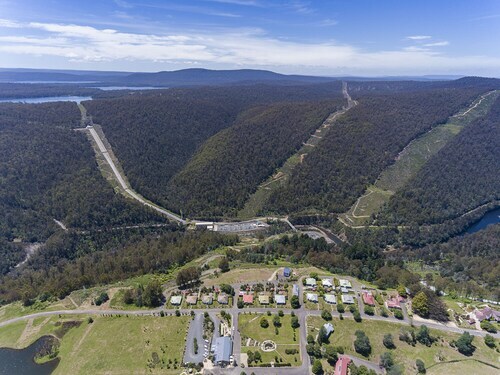 Walls of Jerusalem National Park and Meadowbank Lake are also within 32 mi (52 km). Situated in Tarraleah, this hotel is 1 mi (1.6 km) from Tarraleah Golf Club and within 16 mi (25 km) of Clark Dam and Bronte Lagoon. Walls of Jerusalem National Park and Meadowbank Lake are also within 32 mi (52 km). Situated in Tarraleah, this cottage is 0.9 mi (1.5 km) from Tarraleah Golf Club and within 16 mi (25 km) of Clark Dam and Bronte Lagoon. Walls of Jerusalem National Park and Meadowbank Lake are also within 32 mi (52 km). Situated on a lake, this lodge is within 3 mi (5 km) of The Wall in the Wilderness, Walls of Jerusalem National Park, and Cynthia Bay. Bronte Lagoon is 17.8 mi (28.6 km) away. Planning a few nights away in Tarraleah? There are only 2 hotels within 5 kilometres of the centre of town. 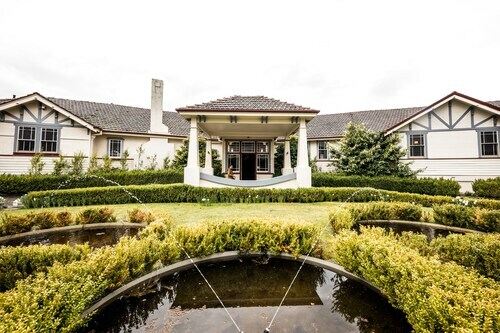 You won't be too far from the main areas at The Lodge at Tarraleah and Tarraleah Estate. 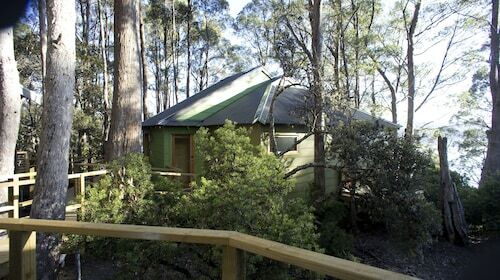 If you find yourself in need of more options in Tarraleah, consider the Highland Cabins and Cottages and the Derwent Bridge Chalets & Studios. They are 18 kilometres and 25 kilometres away from the city's main streets. Some more alternatives are the Lake St Clair Lodge, 25 kilometres away, and the Pumphouse Point, 30 kilometres. You'd be a Wally to leave without seeing the other things in Midlands. Take a gander at the traditional villages. Nature lovers could also take in the region's rural landscapes, lakes and mountains. In this region of Australia, tourists can also go mountain climbing. The close by cities of Bothwell and Fitzgerald are certainly worth exploring. Bothwell is 45 kilometres to the east of Tarraleah, while Fitzgerald is 55 kilometres to the south. Bothwell hotels and apartments are the White's Corner and Ratho Farm. 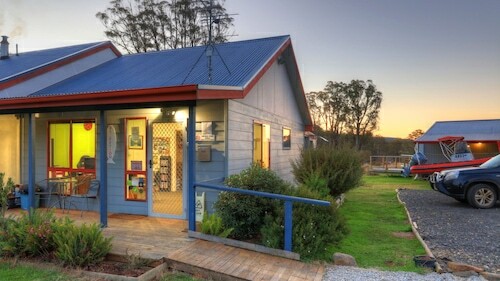 The Maydena Country Cabins Accommodation & Alpaca Stud and Giants Table and Cottages are some of the ones in Fitzgerald. Just because you're on holiday, doesn't mean you can't indulge in your love of sport. Tasmanian Hockey Centre is to the southeast of Tarraleah. The Islington Hotel and The Henry Jones Art Hotel are close to all the action. Launceston Airport is the most logical airport, and is located 100 kilometres away from central Tarraleah. Conveniently located hotels are the Relbia Lodge and the Arendon Cottage. How Much is a Hotel Room in Tarraleah? Hotels in Tarraleah start at AU$125 per night. Prices and availability subject to change. Additional terms may apply. Great room at the Scholars House. Pictoresque area.